Blogger recently changed the way of organizing Pages. Previously we were managing the pages with two options 1) Blank page: which was used to add individual pages to the blog with text and media support. 2) Web address: which was used to add link to send readers to another web address. Which was little complicated for newbie blogger. Now Blogger changed the page managing style. Now you can manage it much like Posts in blogger. Now you are allowed to view count and comments on pages. This new page customize option is similar to posts in blogger. Add New Pages and view which are Published, draft at single place. Also see the Date-time, Page view count and comments. So its easy than previous and more user friendly. Now you should ask where is the web address links ? search label links like, ‘News’, ‘Tech’, ‘Mobile’ which contains the posts are at another location. You can add more label links and manage existing also. Move to the Dashboard> Layout. Here click on edit option of Pages and click on +Add link page to add linked pages which you want to appear on the top navigation bar as Tabbed Pages. Interface to add link mentioned below. This article is to guide the users on how to use Blank page and web address in new blogger design. Blogger is the important for every content writer but it gives you the URL which ends with the .blogspot.com which is not looks professional and it shows that you are not serious about your blog. So when you start your blogging carrier then it is good to use blogspot domain but as you become more serious about your blog and giving time to your blog then change it to the custom domain. Blogger allows to change your domain to the new custom domain. Inside blogger dashboard move to the Settings> Basic> publishing. 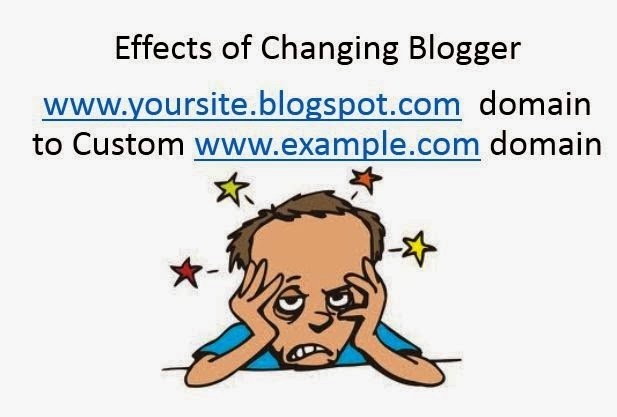 Here you are having option to change the blogger URL to the new custom one. For that you need to buy the new domain from any of the popular domain provider and get your custom domain like WWW.example.com. Your blog looks professional with new custom domain But if you are having much content and have better ranking and indexing status then there are several drawbacks while changing the existing blog domain to the new custom domains. After changing the URL of the blog, it takes much time to re-index all your blog content and you can also check your website risk and ranking for site status. New custom domain treated as the new website and indexing and ranking start from scratch. Search engines crawls domain as new website. You can verify your previous blog and new blog for rank using above guide. When you change your domain to the custom one then it negatively affects the existing Google+ comments and all previous Google+ comments gets removed from your blog and it relatively affects your Google and other search engine indexing. Previously you gone through the adsense with default blogspot domain but it’s not approved but when now you plan to apply for adsense again then it won’t allows you to use the same adsense email because you have new custom domain and which is treated as the new website and adsense not allows to change the previous blogspot domain to new custom. For that you are required to get new Email account to apply for adsense. 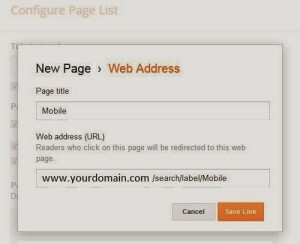 Guide to Apply for Adsense with blogger new custom domain. After changing the blogger url to the custom one it is required to change the entries of website at below locations. Required to change website at several social network profiles and pages. Required to change the verified URL at Google+ to get authorship of new domain. Required to change the Sitemap and robot.txt file with new domain. Required to change the Google Webmasters Tools Domain with newer one. Required to structuring and highlighting data again in Webmasters Tools. Required to change the domain in Google Analytics to get traffic details again. So, its become headache for you because it affects indexing, ranking and required to change several locations as well. Recently i came across the problem inside my blogger blog post meta description indexed content, i found it as duplicated content. Blogger sometimes set your homepage description to other pages even you specified unique description for all and which affects the search engine ranking. Some of the posts of my site shows me the same description as my home page. You can check website status on Google to find how much healthy it is. You can also check for duplicate meta description error in your Google Webmaster Tools. Your blogger homepage having the unique meta description and other pages have their own meta description content. You can set it from the blogger post edit area. If you found problems regarding site posts indexing with same homepage description, you can fix it and let Google bots re crawls your site for better SEO. This is the best search engine optimization technique for blogger blog. If you own blogspot and found your meta description duplicated inside Google search result, follow the quick fix steps as below to rank your site better then normal. Red highlighted code shows the description of your homepage. Put your Homepage description on that area. This code add the highlighted description for only home page and for other pages it fetches the description from post itself as specified by you inside the post Edit mode. So after adding the code above, save the template and wait for the search engine to crawl your site and see the indexing effect to check meta description in Google and you’ll surely found unique meta description. Archive pages in blogger also affect meta description and gives you the duplicated meta content which affects your website ranking. Noindex archive pages blogger to remove Duplicate meta description. Thanks and feels free to comment. Adsense ads placement plays vital role to maximize the ad revenue. Default Blogger allows to place the ad code on the several places like sidebar and below the post but it won’t allows you to place the ad inside the post. Let me walk you through the step-by-step guide on placing the adsense ad code below the Post title. After Placing ads below the Post Title, your final blog post looks as shown in the image below. Adsense ad code needs to be converted before placing it to the Blogger Template otherwise your ads won’s shown up. Before moving directly too the Blogger HTML editor i suggest you to Backup the existing template first. See How to Backup the Blogger Template. After you done with that move to the Blogger Dashboard > Template > Edit HTML. Now here inside that search for the below code. Press ctrl+f to search. There are multiple entries of that code. I have placed the code below the second entry of that code. for some templates it work for below the first <data:post.body/> entry code. Paste the Below block under the above code. Your Adsense Ad. Code Goes here. Here, first line suggest that the ad code will appear on the Post pages. You can put the ad code on the left side or right side. Here we have putted in the left side as show in second line. Third line would be the your Parsed Ad code. Paste it there. Save the Template and view the changes. 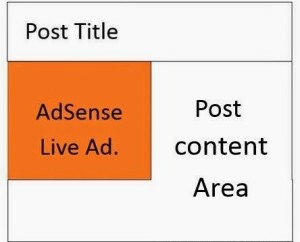 Adsense live ads will start appearing below the Post pages. CNAME record is essential if you want to move your Blog or website to the custom domain. To redirect your blog to the custom domain its required to mentions the CNAME entiries in the domain registrar system account. Put the entries inside and your domain registrar takes some times to redirect your blog completely to the new custom domain. Its easy to find the entries first time inside the blogger but what if you want it again inside the blogger. To find the Cname record first time Just move to the Blogger blog and inside the settings section > basic , you’ll find the Publishing options where you find the hosted account URL and here you can place the third party URL for your blog or website. Add your purchased Domain in place of the blogger hosted domain and click on the Save Button now you are prompted with the two cname entires. first cname record is default for all and second is separate for all. Which looks like below. First is common for all and second cname record is diffrent from users to users. You can use both the entries in you domain provider user account and enter two cname records inside and it’ll takes some time to completely redirect the blogger hosted domain to the custom domain. But what if your second cname Entry gets deleted accidentally ? How do we get it again ? Follow the easy guide below to get the Second cname record again. If you lost the Cname records of your blog or website then left all your worries. You can get it back. First cname record as mentioned before is default to all blogger blogspot account and now you only needs second cname record. You can get it in the Webmasters Account. Go to the Google Webmasters Verification Tool and here you will find the list of the sites verified. Head over to the site which you want to find the details Click on Verification details next to you domain name. Click again on the Verification Details button next to your email as shown in the Image below. It’ll shows you the second DNS cname record with Host and Points To address. Copy the Address which you got and paste it back to the domain provider account. It’ll make it easier for domain registrar to locate the website or blog again.